Daniel F. Farnsworth attended Georgia State University College of Law and has been practicing since 2005. 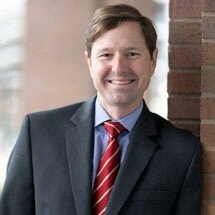 After law school, Daniel spent three years as a DUI/misdemeanor prosecutor with the Fulton County Solicitor’s Office. Daniel spent the next five years with a small law firm where he handled a broad range of criminal and civil matters in Federal Court as well as State and Superior Courts throughout Georgia. Daniel was born in Summertown, Tennessee, on the Farm. When he was six months old he moved to Atlanta where he has lived for almost 40 years. Daniel attended Christ the King grade school and St. Pius X Catholic High School. After high school, he attended Furman University in Greenville, South Carolina where he earned degrees in Business Administration and Political Science. While at Furman, Daniel joined the Sigma Chi International Fraternity. Before attending law school, Daniel worked for the Speaker of the United States House of Representatives Newt Gingrich in the Marietta District Office. Daniel also worked as a consultant for an Internet technology firm and in the banking industry. While at Georgia State University College of Law, Daniel served as president of the Moot Court Board. He was a member of the Student Trial Lawyers Association and served as a representative on the Student Bar Association. Daniel lives in Atlanta with his wife, two children, and two crazy dogs.